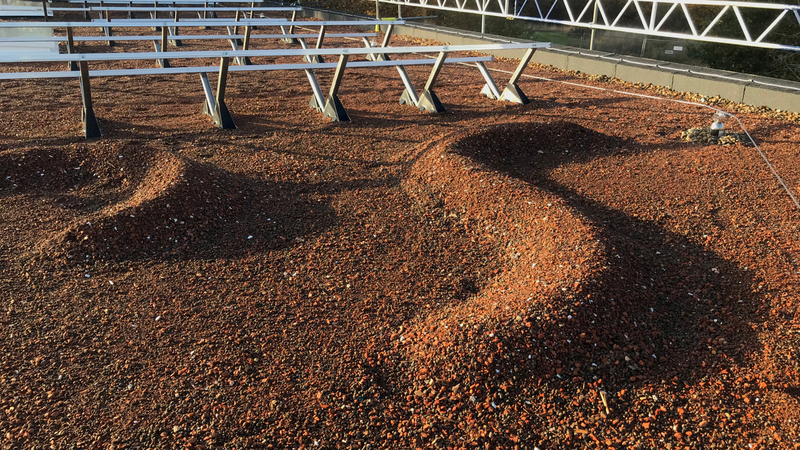 Whilst it is increasingly common to combine solar panels with green roofs, true biosolar green roofs are where green roof and solar technologies are integrated in a seamless fashion. In addition, true biosolar green roofs , especially on extensive green roofs is also designed to maximise biodiversity. Over the last few years, research shows that green roof can provide a boost to the amount of solar energy gained on a green roof. Using solar technology with green roofs is an increasingly important element in delivering sustainable solutions on buildings and in cities. However, all to often, the solar element takes precedence over the green roof element. This can lead to significant problems. 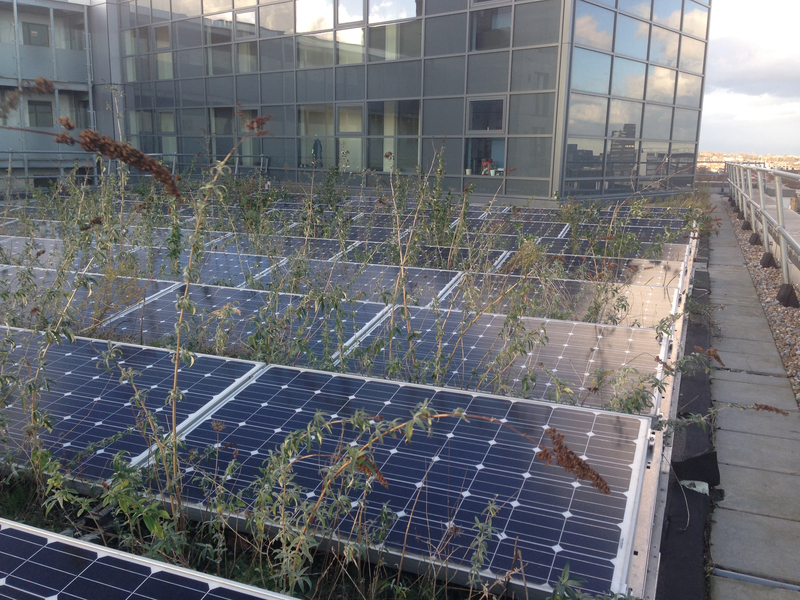 Not only for solar energy production, but also to the vegetation on the green roof. There are many examples of ‘poor’ solar green roofs. The reason being that they have been poorly designed using solar mounts that are inappropriate to a green roof situation. 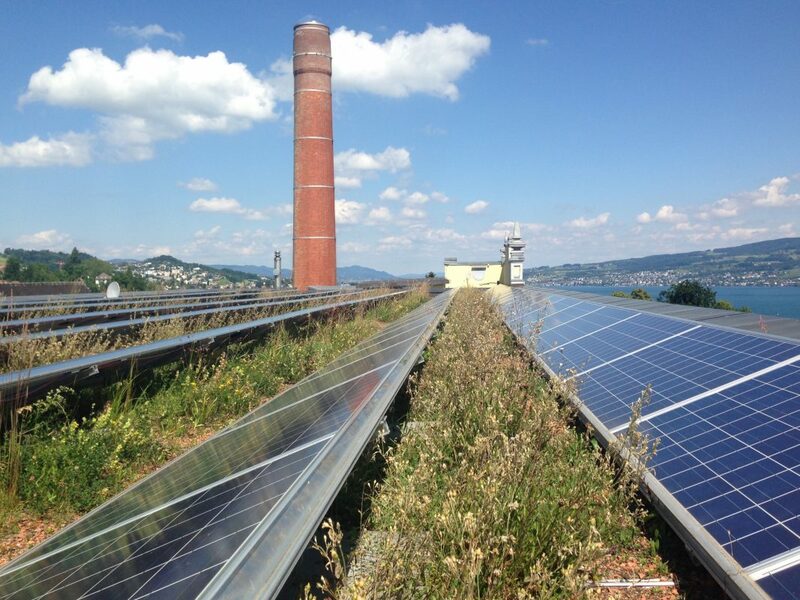 Check out the gallery of biosolar green roofs here. Extensive green roofs are more suited to the installation of solar panels. However work at Boku University in Vienna created pagodas using solar panels an intensive green roof.. 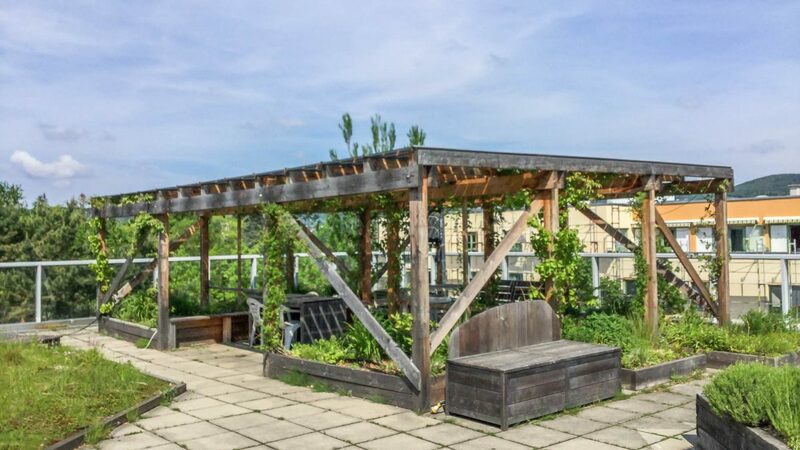 The panels provide shade on the rooftop gardens, which is important on accessible roofs because of the intensity of the sun. The water that runs of the panels also provides irrigation for the vegetation. Over the last ten years there has been an increasing interest in the biosolar approach. 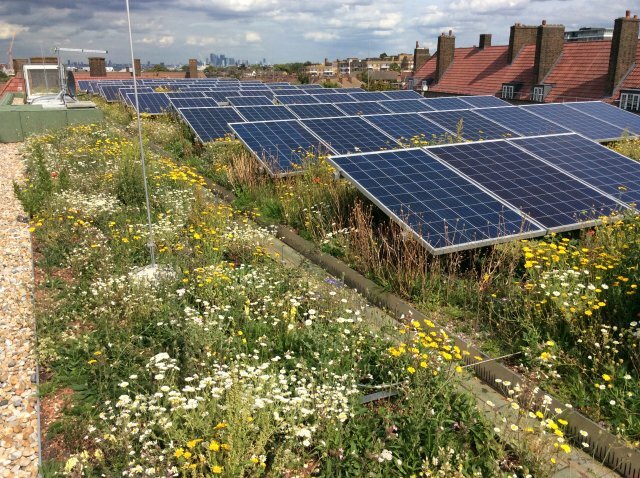 The new London green roof report and the accompanying infographics show, that installations of biosolar roofs are on the increase. And this is likely to be the case in other cities around the world as awareness increases of the benefits of a combined approach.